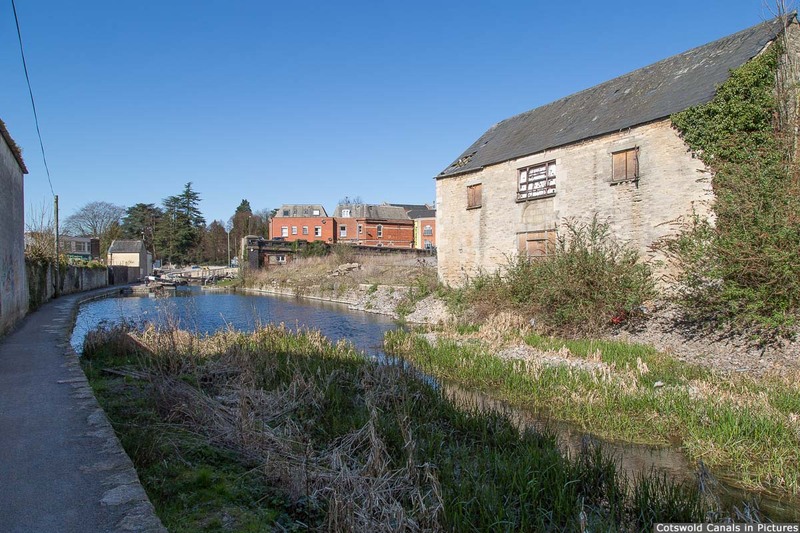 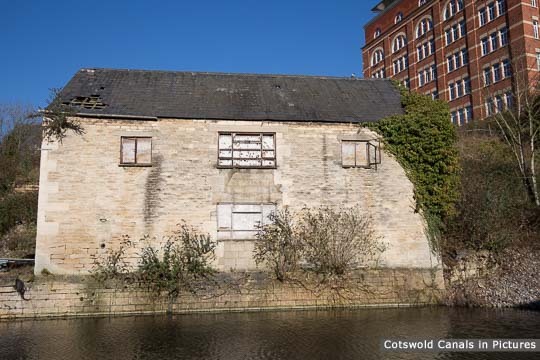 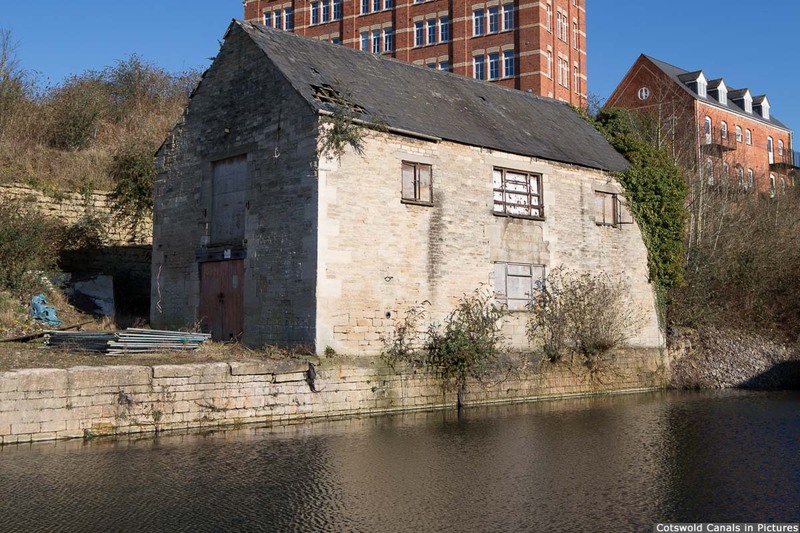 This is an original Thames & Severn Canal warehouse built in 1828 although is no longer associated with the canal and is not included in any restoration plans. 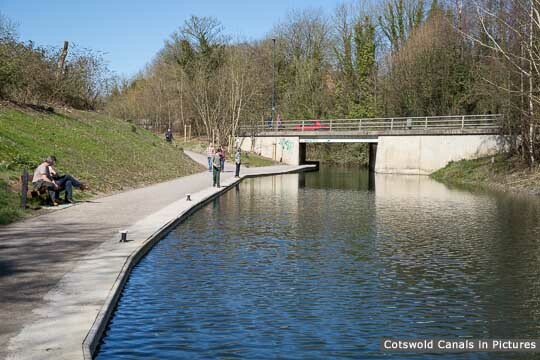 The site is 100m or so to the east of Wallbridge Upper Lock. Unfortunately this building was seriously damaged by fire in August 2018. 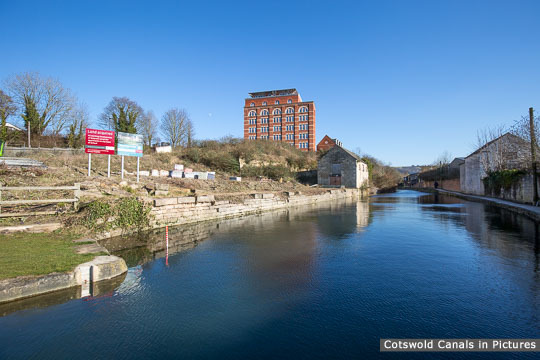 Showing proximity to Wallbridge Upper Lock, and before the pound was restored.